Rick Passov and Daniel Basco facilitating a case discussion around RideAustin during the Spring 2019 boot camp. 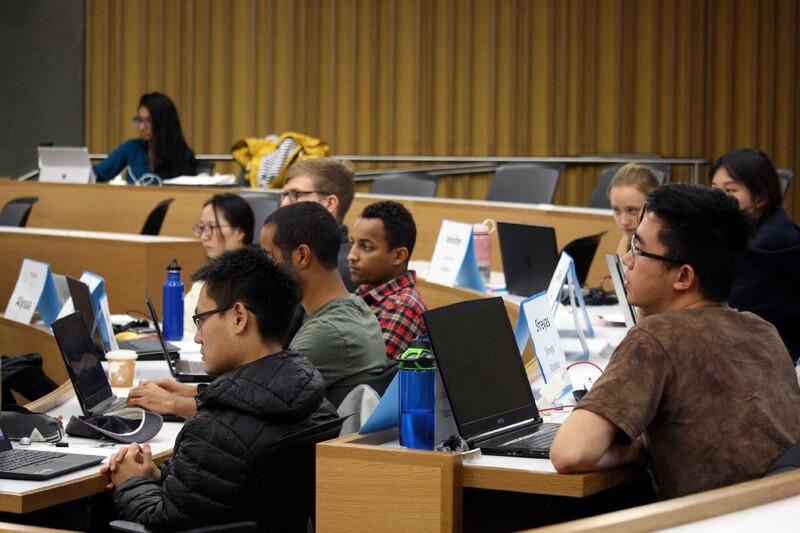 Each Spring, Master of Engineering (MEng) students participate in a ten-day intensive boot camp to explore operational, leadership, and financial concepts relevant to technology-driven enterprises by studying such topics as accounting and finance, product management, and entrepreneurship. 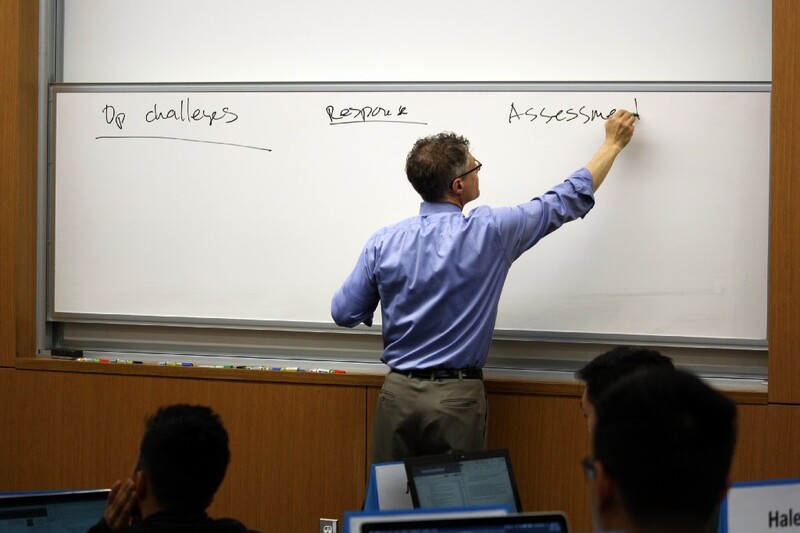 One of the courses offered each year is E270I: Technology Strategy for Engineering Leaders, in which MEng candidates are required to employ technical abilities and multidisciplinary analysis while digesting and dissecting case studies, in-class projects, and guest speaker presentations. 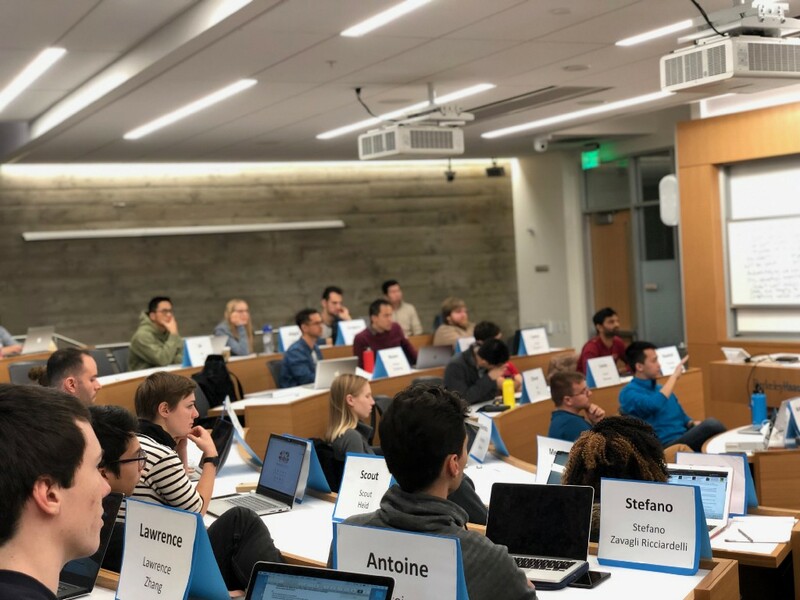 This year, the Coleman Fung Institute for Engineering Leadership at UC Berkeley is taking the path less-traveled to analyze technology innovation with an uncommon format: the multimedia case study. Scholars, regulators, and practitioners are all struggling to understand how to manage and regulate technology platforms. A common solution are case studies, often from Harvard Business School. “One of the challenges with using Harvard Business School materials — and we do rely heavily on those — is that the topics are not as technology and engineering focused as we need them to be. Hence, we write our own when we can,” said Lee Fleming, Faculty Director of the Fung Institute. 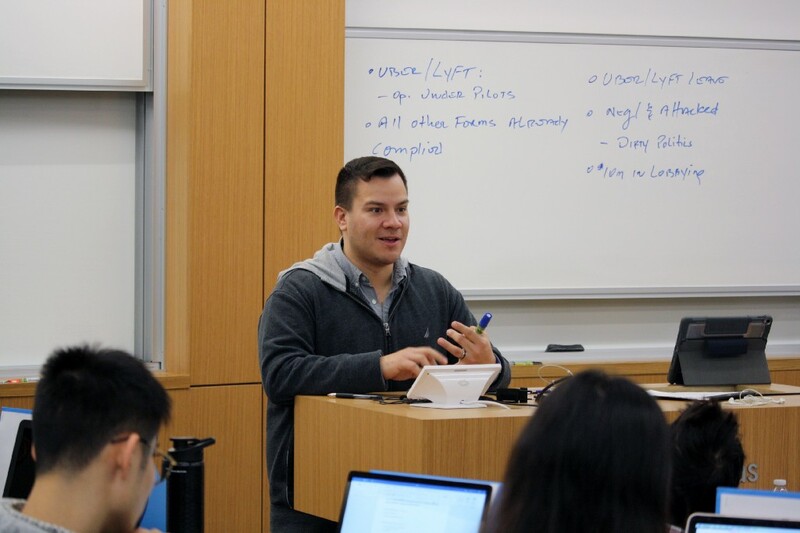 This academic year, Lee and Daniel Basco of Vertex Evaluation and Research designed their own multimedia case study so it could speak to public policy students, business students, and engineering students. “The mixed media approach helps to ensure that professors can tailor the case to fit their classroom needs. We hope this approach becomes a model for additional case studies that focus on the intersection between government, business, and innovation,” said Daniel. Daniel and Lee were connected through the Kauffman Foundation, a private foundation focused on supporting the intersection of education and entrepreneurship. As current grantees in the Uncommon Methods and Metrics cohort, they brainstormed the idea to create a RideAustin case study. Together, they leveraged Lee’s case study writing expertise with Daniel’s local knowledge of RideAustin to make it happen. Lee Fleming guiding the class discussion around each rideshare’s response to certain events in Austin. The case focuses on the political fight between Uber, Lyft, and the city of Austin, Texas over fingerprinting regulations and how it’s aftermath created an opportunity for a small, local ridesharing company to emerge called RideAustin. Utilizing a series of four video interviews and seven media articles, the case allows students to explore the appropriate role of government in regulating emerging technology, the challenges of quickly starting a transportation network company, and the difficulties in competing against large, incumbent firms. Daniel Basco facilitating a discussion around the RideAustin case study at one of the Spring boot camp classes. Multimedia case studies give students an opportunity to hear directly from the key leaders who influenced the company being examined. This case study included video interviews with Austin Mayor Steve Adler, Council Member Ann Kitchen, RideAustin CEO Andy Tryba, and former RideAustin COO Marisa Goldenberg. Each shared their differing opinions on the appropriate role of government in regulating platforms. “It adds dimension to the case as students get to hear from multiple, sometimes diverging, perspectives. It’s our hope that the multimedia format helps students better immerse themselves in the case to be able to think through the complex and messy nature of building a platform,” shared Daniel. When asked about how the case discussion differed with the addition of multimedia, Lee observed: “The discussion is much richer, because they are absorbing information through a greater variety of senses. This holds even — or perhaps even more so — when the student speeds up the video. They still see the personal reaction, the choice of verbiage, and the body language, of the protagonists.” Lee and Daniel plan to continue developing new materials, including one that focuses on Theranos and another on the Future of Work. Both will be taught in the Fall 2019 boot camp. View all the Core Leadership Classes offered through the Fung Institute for Engineering Leadership. 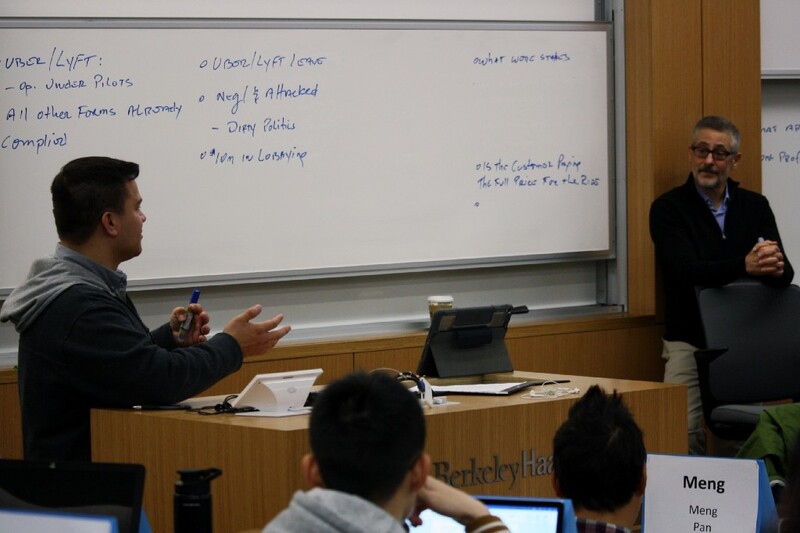 Analyzing the intersection of government, business, and innovation with multimedia case studies was originally published in Berkeley Master of Engineering on Medium, where people are continuing the conversation by highlighting and responding to this story.